At a time when most of the news about women in the developing world consists of the violence perpetrated against them, from Nigeria and the kidnapped girls whose greatest sin was to want an education, to Papua New Guinea where we learn that 7 out f 10 women have experienced violence, to our own shores here in the US where sexual assault on women in campuses across 50 states is at an alarming high - it is a ray of light and hope to see the girls of Afghan Women's Writing Project (www.AWWProject.org) taking off with a robust voice, along with Forte Poesy (strong poetry) based right here in LA. This Sunday at the Annenberg Space for Photography, these two projects - both aimed at giving women a voice - have come together from across the globe to collaborate on an event that empowers women. Forte Poesy is the artistic creation of Shevy Smith, a singer-songwriter from Nashville who made her home in LA, and after a brutal attack took some time off music - only to come back strong with the inspiration to teach young girls how to make music. Girls with Guitars and now Forte Posey is Smiths way of helping give girls in LA a voice, through music. "Music and the creation of it should be fun, rewarding and expressive and above all, empowering", she says - and therein lies her connection with the Afghan Women's Writing Project (AWWP). The AWWP's mission is to "support the voices of women with the belief that to tell one's story is a human right", says Masha Hamilton, AWWP's Founder. She founded AWWP after watching a mother be cruelly executed by the Taliban in a stadium in Kabul for the crime of allegedly having killed her husband. The chilling scene griped her, and led her eventually to Afghanistan where she interviewed women from Kabul to Kandahar. The result was a commitment to get the voices of these voiceless women out to the public, through the writing that would become the cornerstone of Afghan Women's Writing Project. Today AWWP enjoys the support of distinguished writers, journalists, authors and leaders throughout the world who come together to mentor the women in Afghanistan who take their lives into their hands when they take pen to paper to tell their stories. 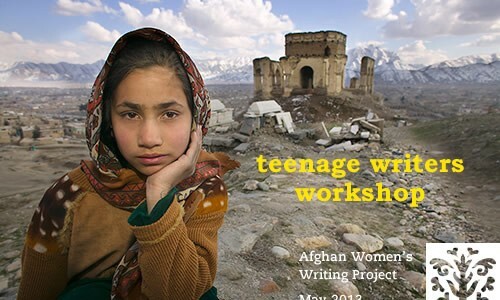 The event in LA this Sunday, May 18th at 7pm brings together the voices of young women in LA, with the courageous writings of young women in Afghanistan. 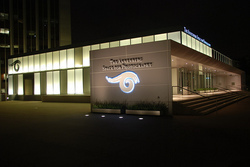 The event is hosted at the Annenberg Space for Photography, fittingly part of the philanthropic empire built by Wallis Annenberg, herself an advocate for women's rights and education. The evening will feature 23 LA based young song writers from Forte Poesy, ranging in age from 10-19. Each of the young women has composed a song inspired by the poetry of an Afghan woman, and will have a chance to perform their music at the benefit event called The Night of Poetry and Song. One of the Afghan women who will take part in the event is a writer from Afghanistan and will read from the original poetry that inspired the evening. All proceeds from this event will benefit the Afghan Women's Writing Project. To prepare for the evening, Forte Poesy conducted music writing workshops right here LA's own Topanga Canyon. The result promises to be an inspiring night of music, poetry and song, performed by young women from across the globe, with nothing in common but their girlhood and their need to be heard. There is perhaps no greater bond than to be a young girl with the inspiration to speak one's mind - and no greater gift than the support to do it. It may sound simple to us in the States, says Hamilton, "to think you can write a song and tell your story, but in a country where women have been told for generations that their stories do not matter, and are urged to be silent", this is a monumental task. The event in LA is a momentous occasion to show the world that, in fact, the stories of stifled women around the world do matter, and that we are all listening.